The idea to initiate the Summer School of Tolerance, which will be held at the University of East Sarajevo from September 15 to 21, came from the wish that the University, in addition to its role in education, plays a bigger role in society overall, said Docent Dr. Darko Đogo, Dean of the Faculty of Orthodox Theology at the University of East Sarajevo, while appearing on RTV BN’s Morning Show. Professor Đogo, who is also one of the lecturers at the Summer School, pointed out that the culture of tolerance is one of the values that is necessary, not just for the society in these parts, but the global society, as well. He particularly emphasized the fact that the lecturers at the Summer School include eminent experts of various profiles from all of former Yugoslavia and a large part of Europe. “When addressing the participants of the Summer School, I will tend to focus on what is closest to my heart, and that is the Christian perspective of tolerance from another perspective. I will try to show that tolerance is necessary for me as a citizen to stand by something, regardless of whether or not I like it. On the other hand, as a Christian, I have the need to see myself in another being. I will research the relationship between tolerance as a citizen virtue and a Christian need for the other one,” Professor Đogo said. Đogo said that the Summer School is a kind of a test for a potential TEMPUS project, in which the organizers of the School – the University of Sarajevo, Bicocca University in Milan and the University of East Sarajevo – would participate. 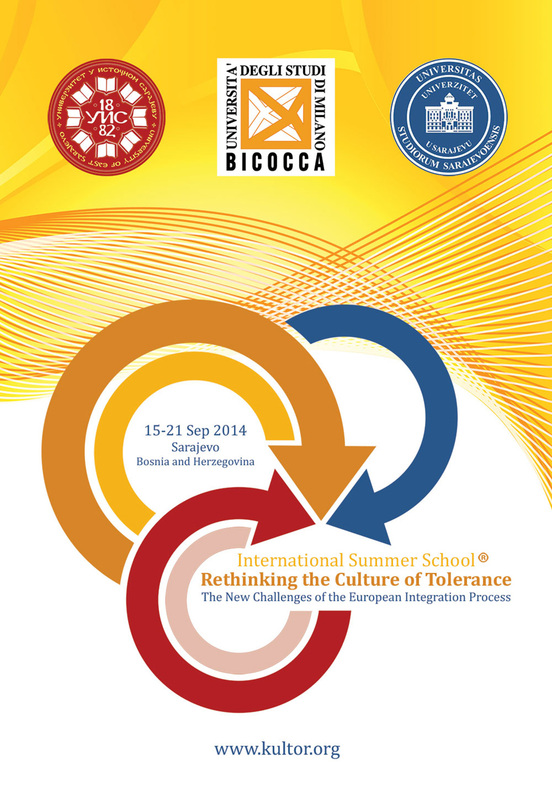 The First Summer School of Tolerance will be opened on Monday, September 15, at 9:00 at the Auditorium of the Faculty of Mechanical Engineering at the University of East Sarajevo.